Our experience in dealing with finance institutions enables us to identify the types of information they will require and to assist you with presenting your case during the negotiation process. Advice on mergers, acquisitions and management buyouts. Business and project valuation services. Advice on capital restructuring and fund raising. Advice with respect to change of ownership and sale of business. Feasibility studies for specific projects and potential investment opportunities. A registered office is the official address of an incorporated company, association or any other legal entity. Generally, it will form part of the public record and is required in most countries where the registered organization or legal entity is incorporated. A registered physical office address is required for incorporated organizations to receive official correspondence and formal notices from government departments, investors, banks, shareholders and the general public. At the same time Offshorelicense LLP offers you Communication Services and Space services in order to create a Virtual Office for your business. Remote receptionist – A team of workers in an office environment working remotely, using high-tech Computer Telephone Integration software, to replace a traditional receptionist. Answering services/call centers operate from a centralized location for the purpose of receiving and transmitting a large volume of requests by telephone. Voicemail that stores voice messages electronically. Virtual office space – Virtual office gives you a chance to own a high profile reputed address in a city of your choice, at a fraction of the buying or renting cost of such an address. 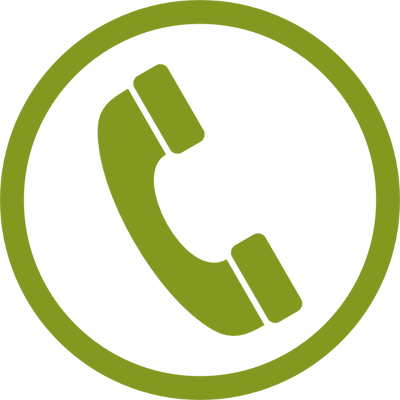 Phone answering service – Virtual office phone answering service bridging the gap between you and your numerous clients. Professional address – A prestigious building to be used as the business address. A professional address alleviates the privacy and personal security concerns of running a home-based business. You can expand into new markets by utilizing a provider with multiple locations to establish a professional presence in the desired growth markets. Mailing address – The professional address can be used for accepting, sending and forwarding mails. Open envelope scanning – A handler opens the mail and scans the contents, emailing or transferring the digitized documents onto a cloud-based file storage system that users can access immediately. Reception courtesies – Receptionists at the business address can receive and sign for incoming overnights, deliveries, packages and provide document resending, drop-off/pick-up services. Obtaining residentship and citizenship in various regions worldwide, may provide you with a lot of competitive advantages such as visa free travel, wealth preservation, investment opportunities, personal security and tax advantages. Do not hesitate to contact our team of professionals to let us provide you with best residentship and citizenship obtaining service. We provide up-to-date legal opinions and legal agreements across a range of industries. Our legal advisory and agreement drafting services have been utilized in the following industries: mining, gas, investment banking (corporate finance, structured finance, derivatives, securitizations and structured financial products; development finance, corporate financial services, steel manufacturing, information technology, logistics, short-term insurance, the pension funds industry, engineering, etc. We have provided advice on inter alia private equity deals, listed deals, short-term insurance, corporate law, trust law, environmental law, administrative law, constitutional law, intellectual property, pensions law, information technology, business rescue, franchise agreements, services agreements, shareholder agreements, subscription agreements, sale of business agreements, sale of asset agreements, deal-structuring from a legal risks’ perspective, business integrity issues, engineering design agreements, enterprise development deals, international consignment stock and distribution agreements, international sale agreements, international software license and software maintenance agreements, non-profit law and non-profit legal structures, public benefits organizations and issues of donor deductibility and income tax exemption, director roles and responsibilities, certain aspects of competition law etc., project finance agreements, security agreements, corporate finance agreements, syndicated loan agreements etc. Apostille is a certification by the Ministry of Justice and Public Order, that all signatures on a local public document are valid, in countries outside the country of residence. All countries in The Hague Convention of 5th October 1961, accept Apostille. Countries not participating in The Hague Convention, need legalization of documents through the Embassy or the Consulate of the country of destination. A certified copy is often used in English-speaking common law countries as a convenient way of providing a copy of documents. It is usually inexpensive to obtain. A certified copy may be required for official government or court purposes and for commercial purposes. It avoids the owner of important documents (especially identity documents) giving up possession of those documents which might mean a risk of their loss or damage. . Identification documents must be presented to the Certifying Officer. The Certifying Officer may refuse to certify documents under certain circumstances. Translations and certified translations are important in various day-to-day businesses, legal proceedings and filings for court systems and government agencies. Many government agencies require a translation to be certified before they will accept a particular document as valid. At Offshorelicense LLP., we are able to certify our translations for almost any legal use. Our experienced account managers will work with you to understand the underlying requirements of your certified translation and will staff your project accordingly. OffshoreLicense LTD offers technical solutions for broker companies, trading in the securities markets and forex. Our offer includes final product with the connection of one or more liquidity providers. OffshoreLicense LTD offers an excellent solution for those who are looking for an opportunity to start their own brokerage business. White Label is the MetaTrader 4/5 terminal with your company name and logo connected through API to trading servers. Possibility to add more liquidity providers will improve your business opportunities. OffshoreLicense LTD offers solutions for Forex Fund Management. PAMM/MAM is the system by which the trader (manager) can manage investor’s assets through a broker. The main advantage of system is that the interests of both parties will protect broker. Elimination of risks in relations between traders and investors. Setting up software for PAMM or MAM accounts. Setting up cabinet for managers and investors. OffshoreLicense LTD offers a brand new technical solution for connectivity between liquidity providers and trading systems, software for showing customer liquidity flow. This allows fast and qualitative output for trading operations to liquidity providers. Cloud Based Bridge gives Company a possibility to create an individual scheme of risk management and ensuring its flawless operations. OffshoreLicense LTD offers a technical solution which will improve relations between Company and its customers. Cloud Based CRM will automatically collect all client’s data and requests from the website forms. It will lead to perfect client’s management and successful sales. Choosing our Cloud Based CRM you will never lose your clients! We provide gateway which provides any business activity merchants an access to dozens of popular payment solutions and gateways. To request a pre-approval process, please contact our team. APPLY NOW!Require additional service which is not listed above? Leave your application online! We will get back to you with the most suitable solution for your needs. Please submit the form below and our team will contact you shortly!